A trip that will give you the opportunity to follow into St. Paul’s footsteps and will introduce to you the Ancient town of Filippi and the modern city of Kavala. 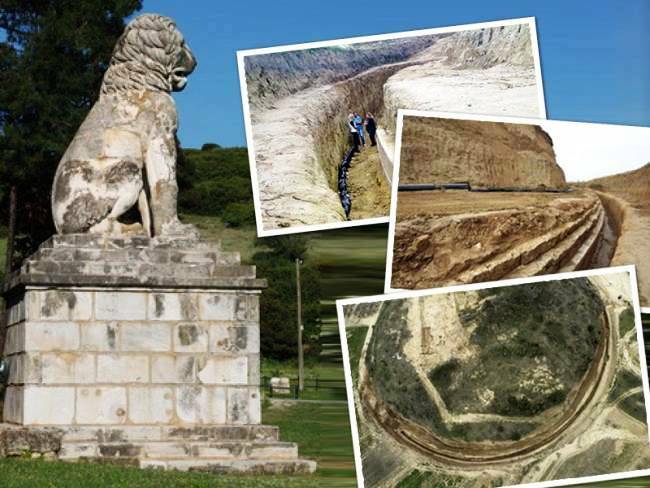 But first we will visit Amfipoli and see the famous Lion of Amfipolis! Then we leave to the Ancient town of Filippoi, a settlement founded by Alexander the Great’s father, where we shall visit the basilica, the theatre, the Roman forum, the cell where Apostle Paul was imprisoned but also the Octagon Church-the first Christian church of Europe. We will also visit the place where St. Lydia was baptised, known as Lydia of Thyatira. She is commonly known as St.Lydia or simply “The Woman of Purple”. Later we will arrive in Kavala, the amphitheatric town, where we have a couple of free hours for shopping, for a walk or for a visit of the old fortress, or to see Muhammad Ali’s house. Early in the evening, we drive back to Thessaloniki. -Mercedes Benz taxi E Class 200 W212, edition 2013: 1-4 passengers (including kids) 190 euros (fixed price). -Mini Van Mercedes Benz Vito edition 2017: 4-8 passengers (including kids) 220 euros (fixed price). Call us directly at +306931635555 for more information ! The Chalkidiki Peninsula of Northern Greece is immediately recognizable by its “three fingers” that stretch into the North Aegean Sea. A place with incomparable beauty and crystal clear waters! 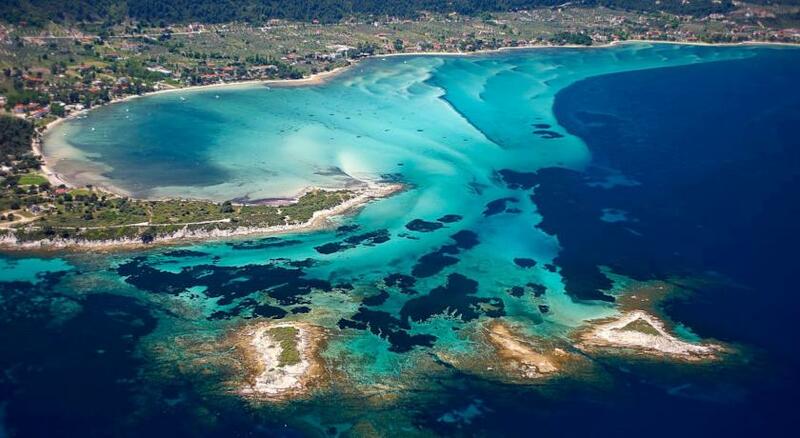 The Blue Flags Chalkidiki every year is awarded with are well-deserved. Take time, relax and enjoy all that this magical destination has to offer! From the crowded worlds and music beach bars and endless evenings, to the countless small and clean beaches Chalkidiki is the place to be. You can enjoy a big variety of water sports activities or just relax and have carefree, quiet holidays. Our drivers speak fluently english and will be available at the point of your choice to take you to sandy beaches and they will drop you back off at your place at the end of day. Time to visit Dion, a religious center of the Ancient Macedonians dedicated to the worship of Olympian Zeus, situated at the footsteps of the famous Mount Olympus, the mythical summer resort of the twelve Gods. In Dion, Alexander the Great offered rich sacrifices to the Gods before leaving for his legendary expedition to Asia. Visit of the archaeological site and the museum. We continue to the traditional village of Litochoro. Free time for a tour of this picturesque village and for a walk in the valley of Enipeas, on the low slopes of the mountain. This is a place of a major ecological beauty for the country, in addition to its cultural importance. Finally, you can enjoy local cuisine in one of the restaurants in Litochoro, before taking our way back to Thessaloniki. Pozar baths are located close to Loutraki village ,which is one of the most beautiful resorts of Central Macedonia found on the footsteps of Mount Voras. The baths are known both for the spa-therapy (warm baths) and also for the therapy involving the drinking of the water. The area is also very popular for mountain vacations and activities. The spa could help in the treatment of the following affections: Rheumatoid Arthritis, Arthropathy, Cholelithiasis (gallstones), Nephrolithiasis (kidney stones), Bloodstream infections and Eczema. Also nearby there is the first Speleological Park of Greece in a spectacular natural setting with over 15 caves (several can be visited) with traces of Neolithic life. Free time to enjoy SPA therapies in the thermal pools and for shopping traditional Greek products. Our tour includes also visiting of the town of Edessa (also called the town of waters, with its 100 bridges). The natural park of the waterfalls with the most spectacular waterfall in the Balkans (70m high) is an unforgettable attraction and a place where people take the best photos. Free time in the area and early in the afternoon we return to the place of accommodation. -Mercedes Benz taxi E Class 200 W212, edition 2013: 1-4 passengers (including kids) 170 euros (fixed price). -Mini Van Mercedes Benz Vito edition 2017: 4-8 passengers (including kids) 190 euros (fixed price). 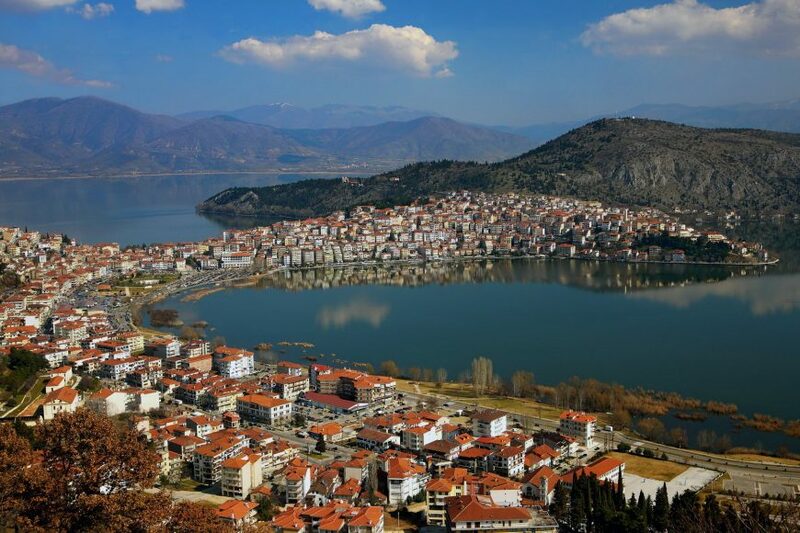 Kastoria is built on the peninsula of the namesake lake between Vitsi and Grammos Mountains. It is the only city in Greece that saves both Byzantine and post-Byzantine memory. The 72 churches and numerous mansions are a sample of the flourishing of craft and commercial activity of its inhabitants. The most famous sightseeing of Kastoria is the lake Orestiada which is located in the center of the town. Apart from the Lake, another widely known feature of the town is the art of furriery as its is practiced for more that 5 centuries in the area being one of the locals’ main occupation. The trip from Thessaloniki to Kastoria is interesting and pleasant as 200 km of the route is covered via Egnatia Highway and its new vertical road. -Mercedes Benz taxi E Class 200 W212, edition 2013: 1-4 passengers (including kids) 250 euros (fixed price). -Mini Van Mercedes Benz Vito edition 2017: 4-8 passengers (including kids) 280 euros (fixed price). 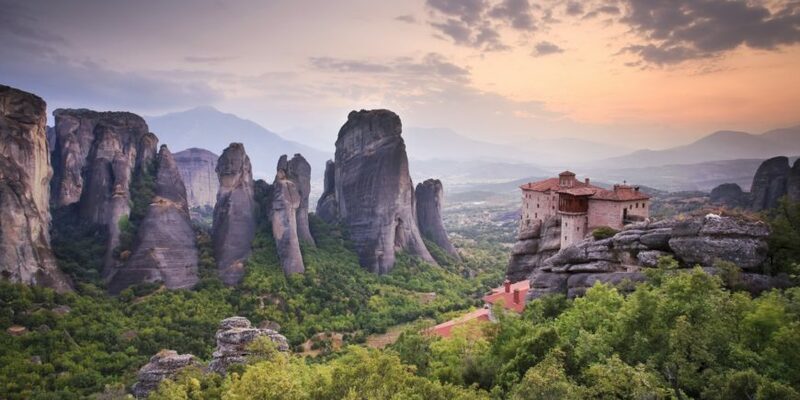 Meteora Monasteries is a unique and unforgettable experience during your stay in Thessaloniki. Meteora is a geological miracle, which one must see for himself in order to believe. Meteora is included in the UNESCO World Heritage List. Departure early in the morning for Kalambaka. Arrival at Kalambaka city and visit the famous Meteora, where our driver will provide you with all the information you need about these unique geological formations , on which the Monasteries are perched; they were built in the 14th century and they are rich in precious testimonies of Byzantine art. We shall visit any of these fabulous monasteries, built high upon the steep rocks. Each monastery owns a vast richness of frescoes and icons. At the end of the day we return to the city of Thessaloniki. On the top of the Mount Athos peninsula and at a distance of 120km away from the Thessaloniki lies Ouranoupolis, the Gate of Mount Athos. Ouranoupolis is a divine landscape, combining mountainous and sea beauties, promising unforgettable holidays, especially for the travelers seeking the relaxation, away from the stress of the town. The village seems to be a serene portrait which welcomes the pilgrims and prepares them for their spiritual journey to Mount Athos. Its visitors are welcomed by the Tower of Andronikos, the “alert protector” of the city for centuries, built in 1344 by the monastery Vatopediou as a protection from the pirates. In front of the tower lies the port, the gate of Mount Athos, where either the ferry boats travel to the monasteries or cruise around the peninsula at a distance of 500m from the beach. In Ouranoupolis the visitors apart from the hospitality and the friendly spirit of the residents, have the unique chance to savor fresh fish caught in the Mount Athos Golf in traditional fish taverns, to relax in pleasant cafes or bars drinking cocktails on the beach watching the sunset. There are ferry boats which daily set off from the harbor for the Mount Athos cruise Ouranoupolis is surrounded by a wonderful forest which is being offered for walks and exploration, viewing to the village and Mount Athos. Inevitably Ouranoupolis is the last stop for all pilgrims who wish to visit Mount Athos since they have to collect early in the morning the Diamonitirio, a written authorization and the ticket for the ferry boat. -Mini Van Mercedes Benz Vito edition 2017: 4-8 passengers (including kids) 200 euros (fixed price). Our destination is in the city of Pella, which is located in Central Macedonia. In less than 45 minutes away from Thessaloniki you can find one of the most popular archaeological destinations in Greece. Pella was the capital of the Macedonian Kingdom since the late 5th century BC. In the recently structured museum we’ll have the chance to see some magnificent mosaics dated back to the 4th century BC and other Macedonian pieces of ancient art. After leaving Pella we will head to the beautiful village of Vergina and the impressive Royal Tombs at the museum of Aigai. Among other outstanding findings lies the tomb of King Phillip II of Macedonians, father of Alexander the 3rd (Alexander the Great). It is one of the best museums in Europe while the exhibits displayed will take you a travel back in time! -Mercedes Benz taxi E Class 200 W212, edition 2013: 1-4 passengers (including kids) 150 euros (fixed price). -Mini Van Mercedes Benz Vito edition 2017: 4-8 passengers (including kids) 180 euros (fixed price). 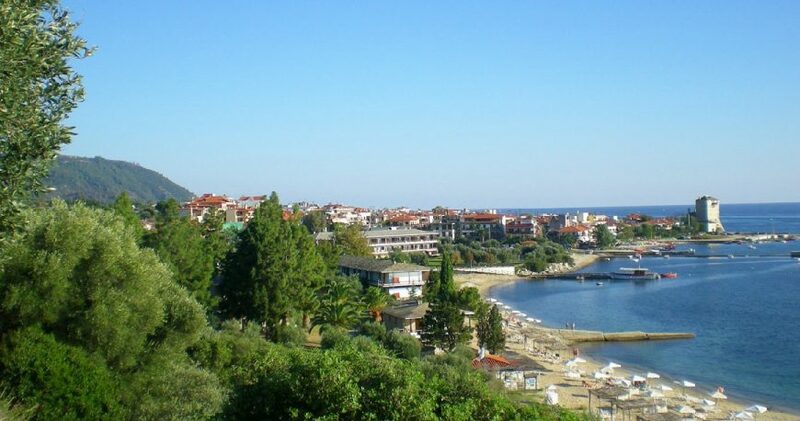 Suroti is the place where you want to return again and again 20km away from Thessaloniki. The saint Paisios is buried here in the North-East from the main monastery Temple altar. Pilgrims approach the grave, stand on their knees, kiss the wooden cross gravestone and marble slab on the grave of the saint. The Monastery of St. John the Theologian is also situated in the village Souroti. On July 12th 1994, Saint Paisios reposed and was buried at the Monastery, next to the church of St Arsenios the Cappadocian. The pilgrimage is part of our visit to the monastery. During your visit, our guide will wait for you as long as it takes and he will drive you back off at your destination. -Mercedes Benz taxi E Class 200 W212, edition 2013: 1-4 passengers (including kids) 40 euros (fixed price). -Mini Van Mercedes Benz Vito edition 2017: 4-8 passengers (including kids) 60 euros (fixed price). Meet us at Thessaloniki for an unforgettable tour. A city of great historical significance and a crossroads of so many civilizations and cultures. Start the tour with a panoramic tour around the White Tower, the main monuments of the city, the Arch of Galley, the monument of the Rotunda, the old town (Ano Poli) and the ramparts, from where you will have a view beautiful on Thessaloniki. We will provide you with all the information on the ancient and new history of Thessaloniki by looking at these imposing buildings. 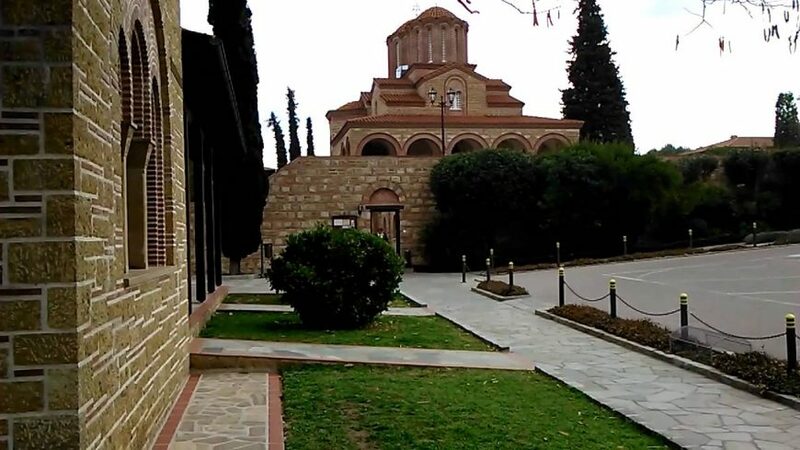 During the visit, there will be a short stop at the Byzantine Agios Demetrius Church which is the most important church in Thessaloniki for religious, historical and artistic reasons. You don’t want to lose to visit the Archaeological Museum It holds and interprets artifacts from archaic, classical, Hellenistic and Roman periods, mainly from the city of Thessaloniki, but also from Macedonia in general. -Mercedes Benz taxi E Class 200 W212, edition 2013: 1-4 passengers (including kids) 55 euros (fixed price). -Mini Van Mercedes Benz Vito edition 2017: 4-8 passengers (including kids) 75 euros (fixed price).